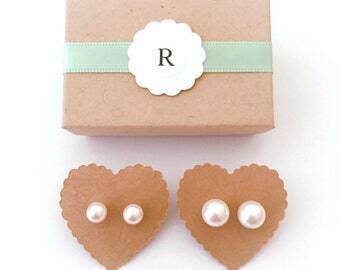 first name, or if you want just a satin ribbon bow on the gift box and no name, you can mention that. Follow Dutchpearl on Instagram and receive a 5% discount coupon code. 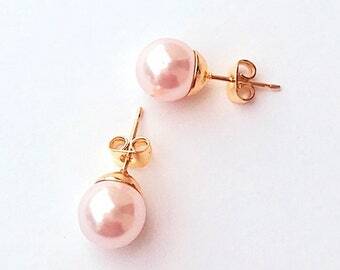 Sweet dainty earrings for your bridesmaids. 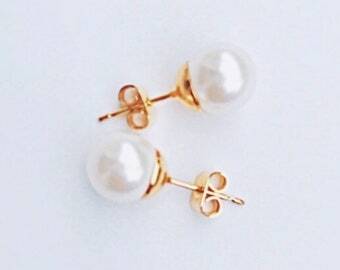 The pearls are hand placed on gold plated posts and have gold plated backings. 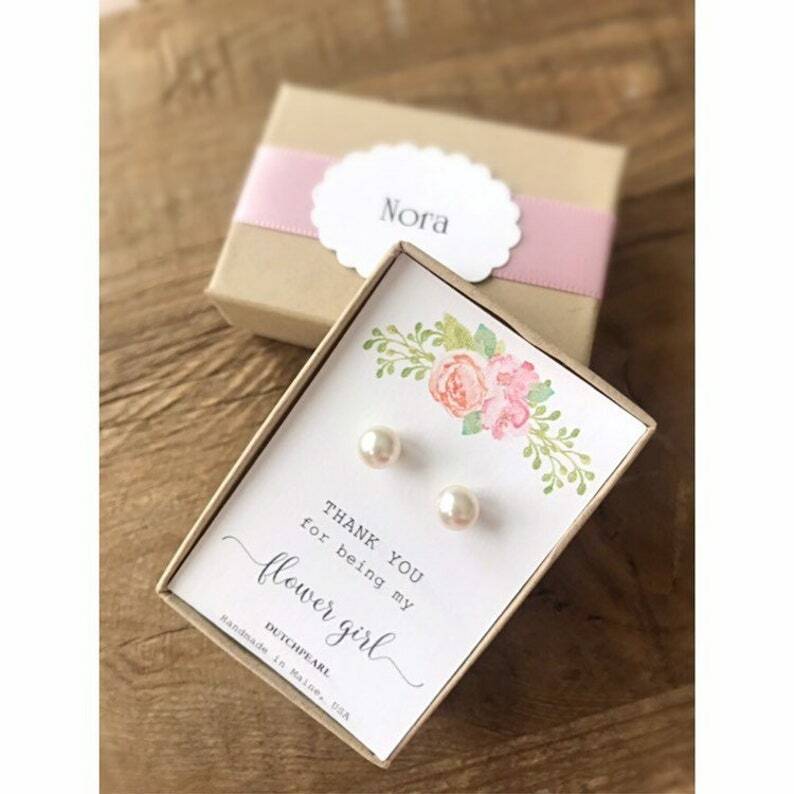 Carefully placed in a kraft gift box, with satin ribbon of your choice. Wow!!!! That’s all I can say! They are amazing and beautiful and I am just SO excited for my wedding party to see these gems ♥️ I would highly recommend these!!!! They also shopped super fast 😊 thank you!